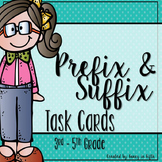 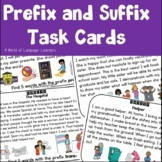 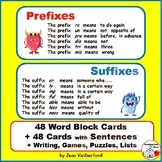 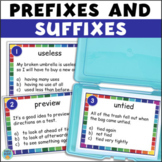 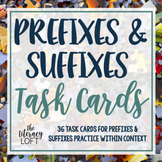 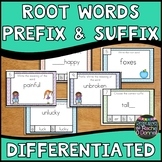 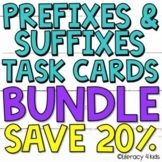 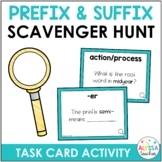 Halloween Prefix & Suffix Task Cards (48 total) & Worksheets! 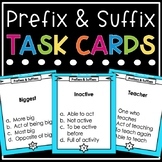 This product features 24 task cards that cover the topic of prefixes, suffixes, and root/base words. 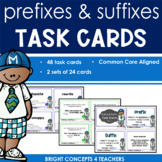 Questions vary in the way that they are asked, but all are multiple choice. 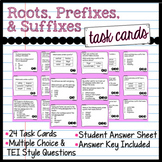 The set of cards comes with a recording sheet and an answer key.